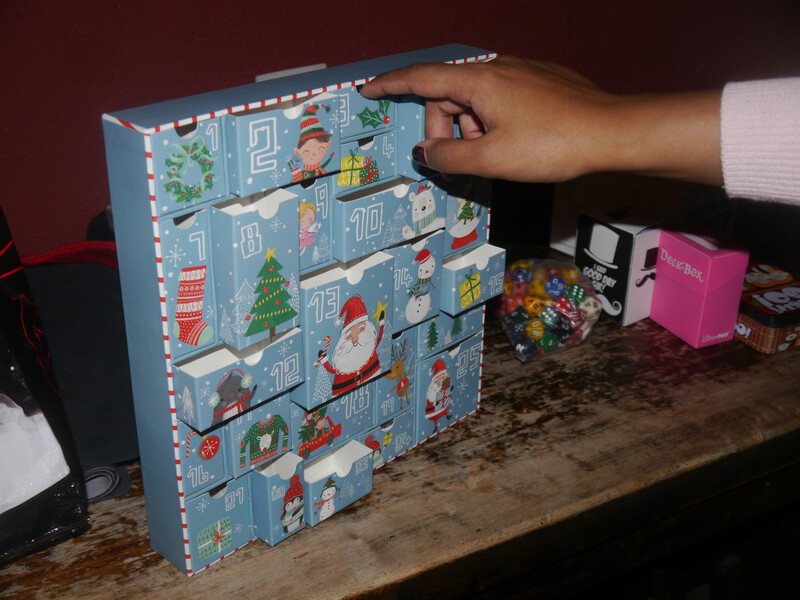 Our super hard competition advent calendar! The open doors were the completed ones. 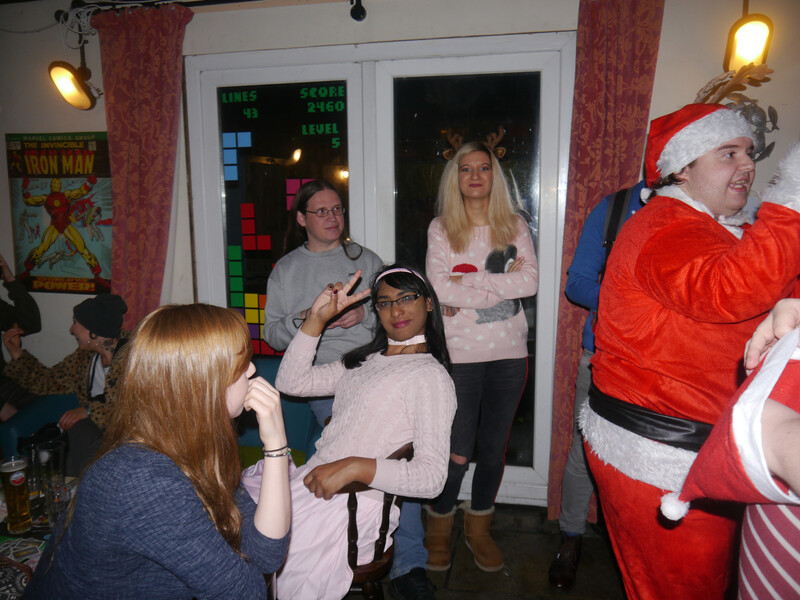 Another fun-filled night, with another year of festivities out of the way with. 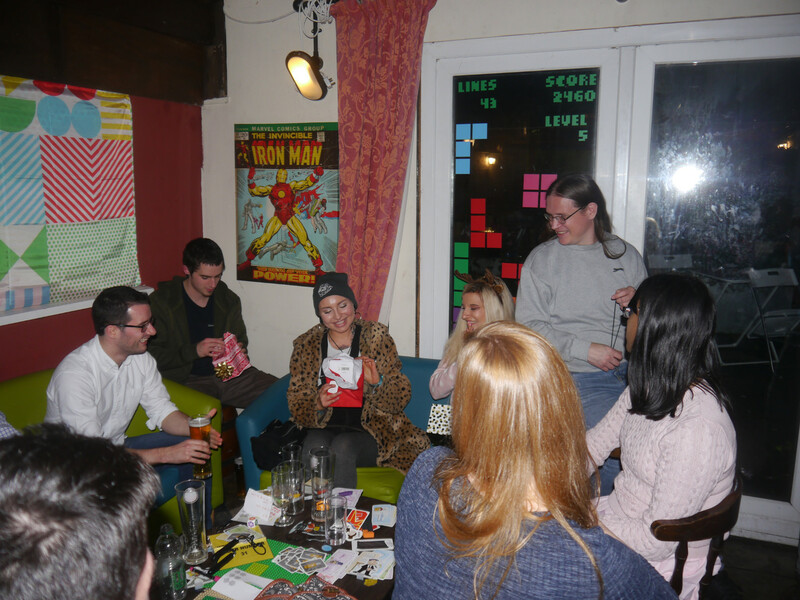 There was 51 people who interacted with us, so thanks to everyone who came along, both new and regular alike. 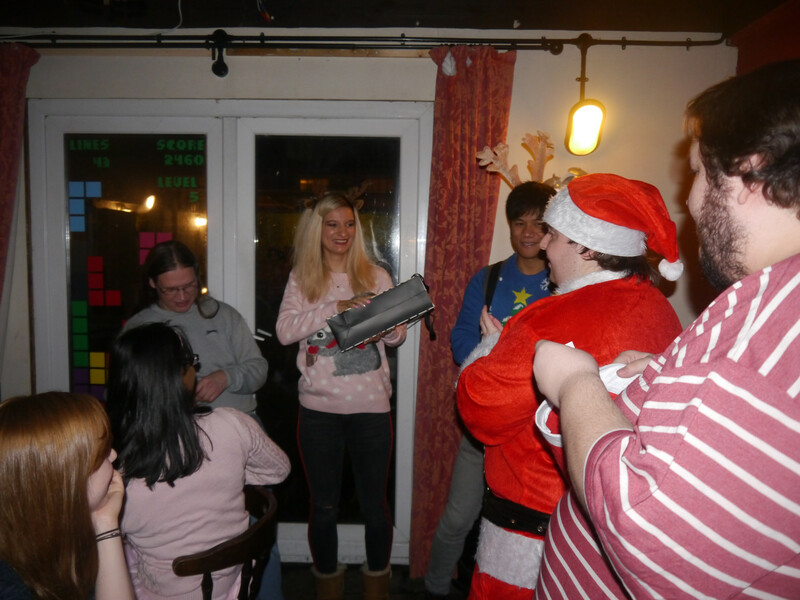 As ever with our Christmas themed events, there was a lot of sharing and even the Old Market Tavern got involved! 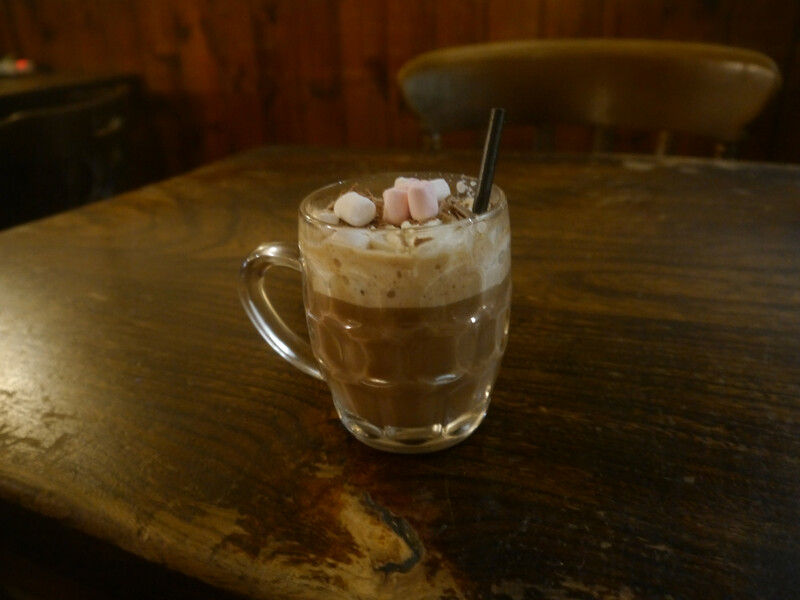 They made for us some specially made hot chocolate, which people threw an extra pound in to make for a boozy hot chocolate. Huge thanks to Mike and Sky for their time this week! 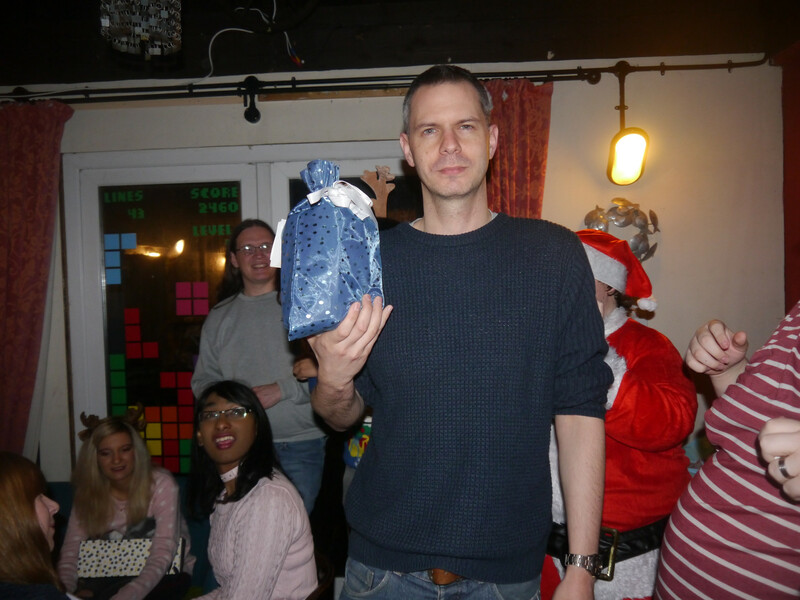 So the competition was a fetching little advent calendar, which featured some ridiculously tough questions. 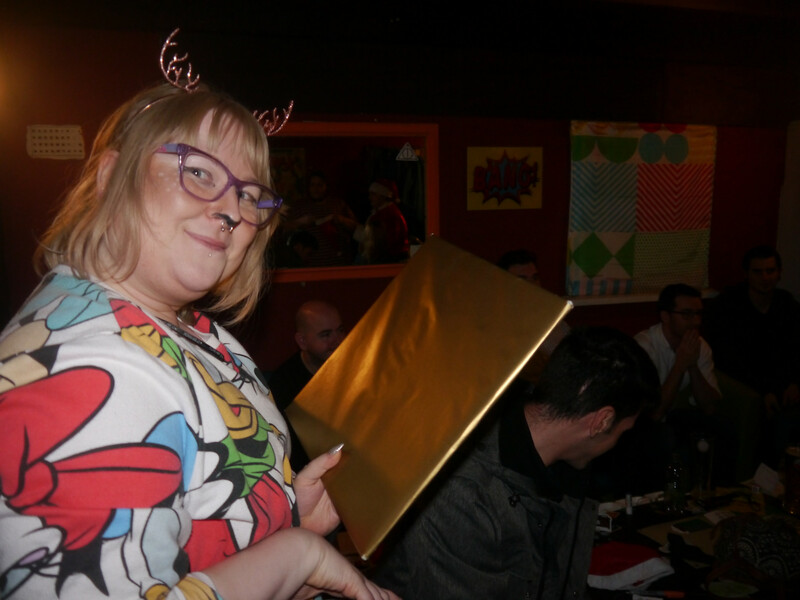 If someone beat the question, they were awarded 5 chocolate coins and a childish present… Er, I mean a totally adult present that all adults would be proud to have! 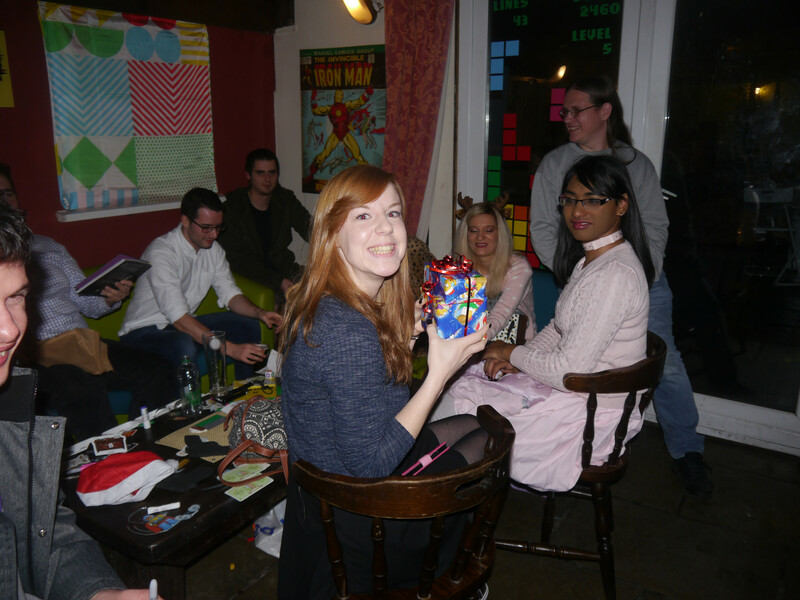 These presents included miniature Rubik’s Cubes, Rainbow Slinky’s, Avengers keychains, Plastic Swords and Face Masks. I told you they were totally normal presents to give adults! 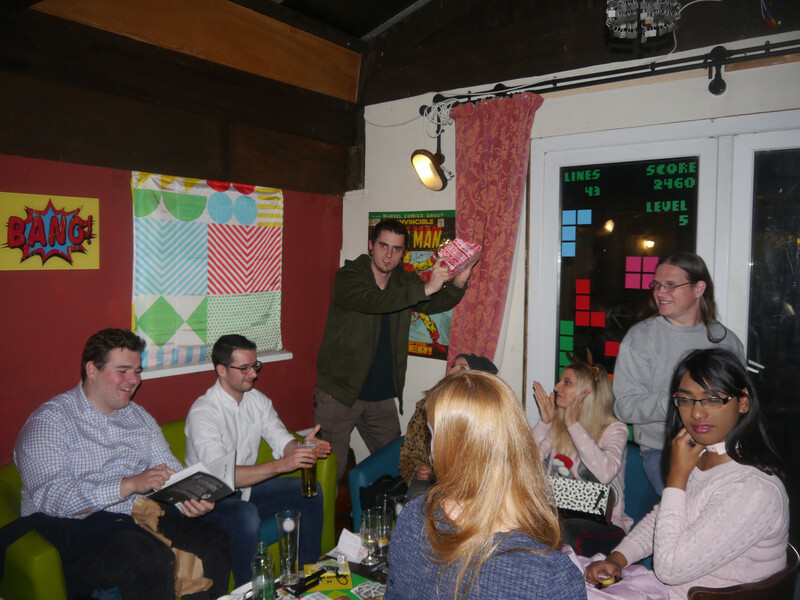 But, as well as the smaller prizes, which everyone had a chance of winning, people had the opportunity to go into the grand finals of the quiz. 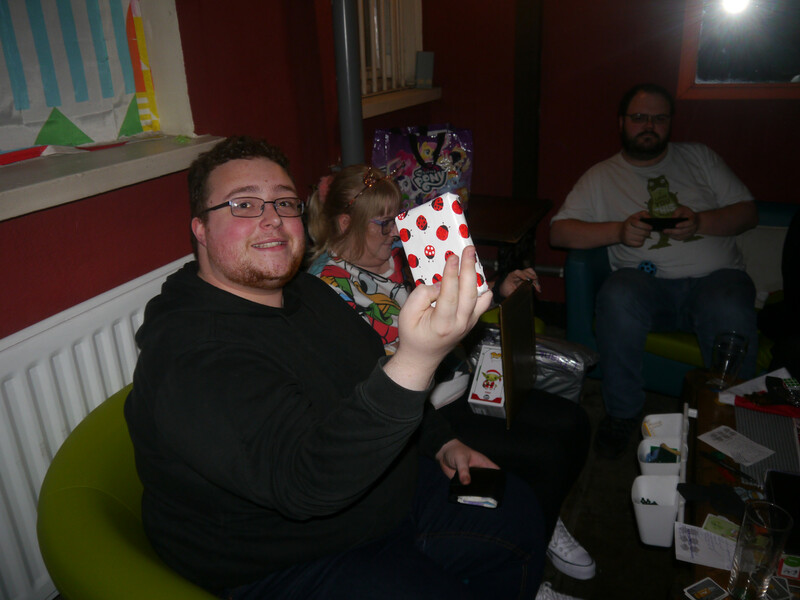 All people had to do to be in with a chance of winning was get the most questions right from the advent calendar! Naturally, that scared a lot of people. I made this quiz as brutally hard as it could be, so please see this link for the questions, along with the answers on page 3. Tell us how well you did in the comments below if you give it a go! Enjoy! 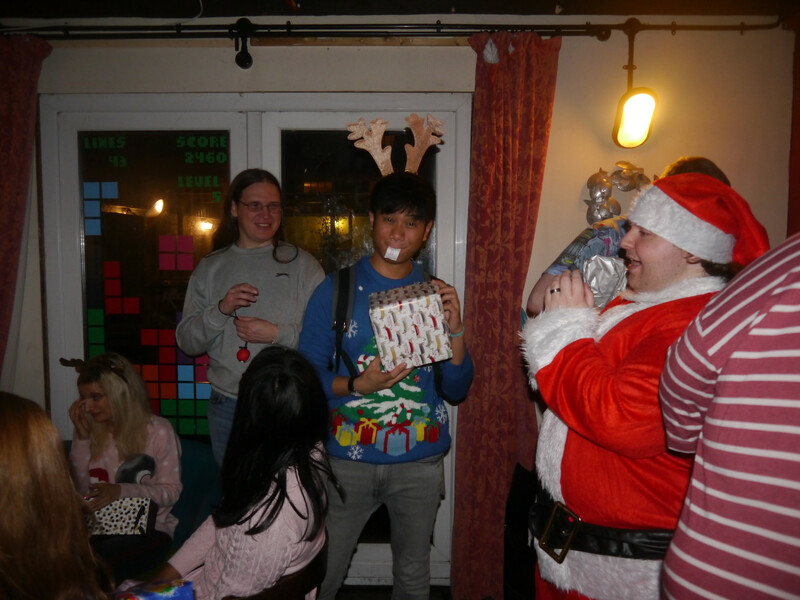 As well as the competition, this month saw the return of Super Secret Santa, marking it the fourth year in a row that we’ve held it. 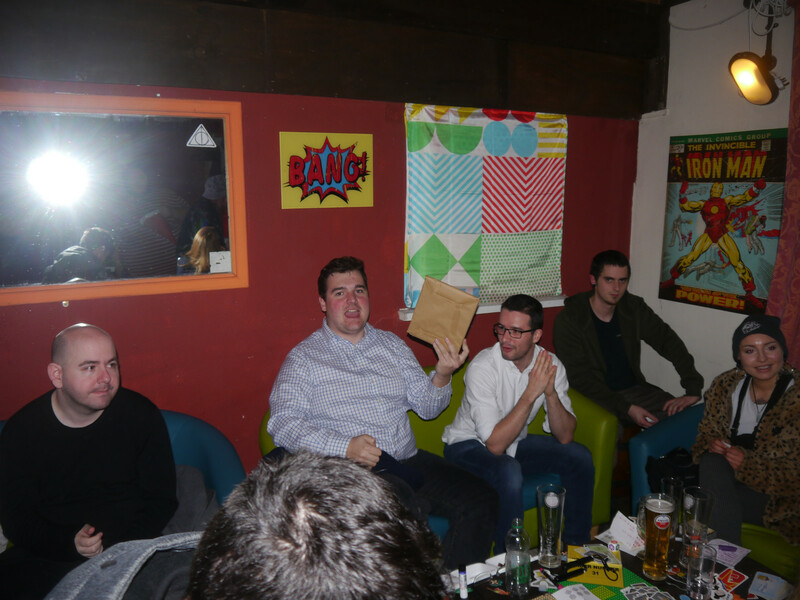 As ever, geeks were given gifts left right and centre, so thanks to everyone who brought a fantastic present along. 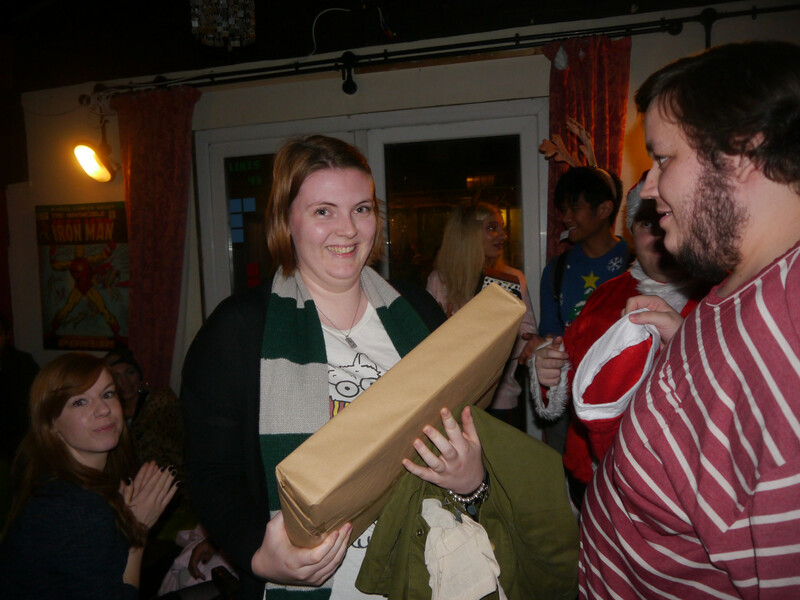 I hope you were all pleased with your gifts, no matter what they were. As ever though, if anyone has ideas on how to improve it for the future, share your thoughts in the comments. 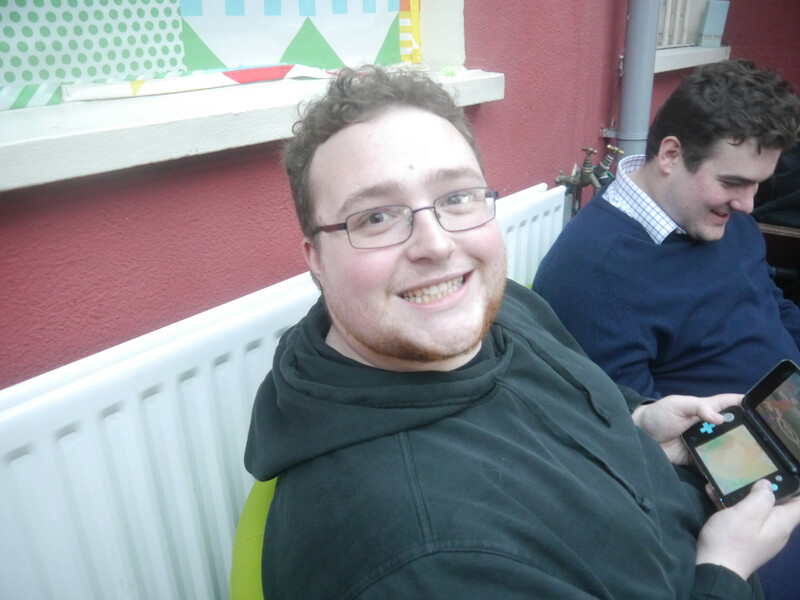 I’d just like to say a huge thanks to Jake who managed a raffle-like system which worked! You’d have to have been there to understand why I said it like that, but it’s in his own words. Much love to you, Jake! 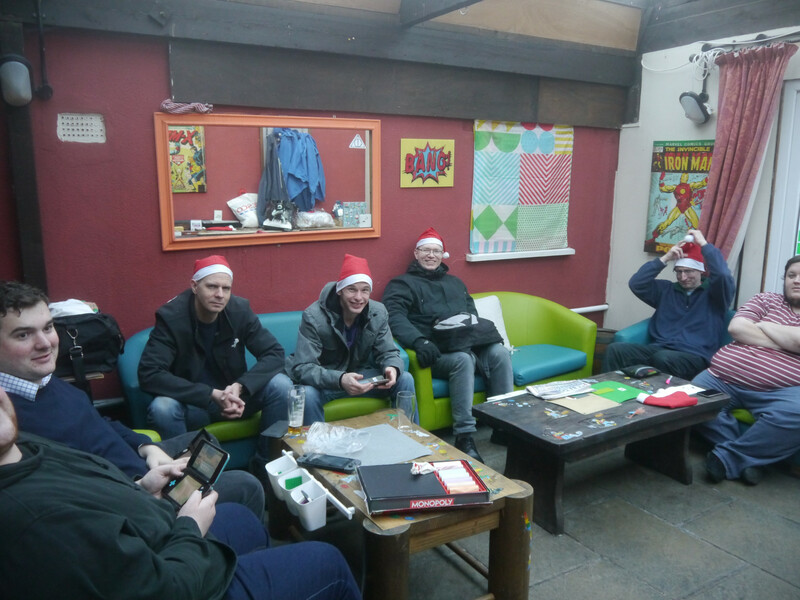 Santa hats at the ready! 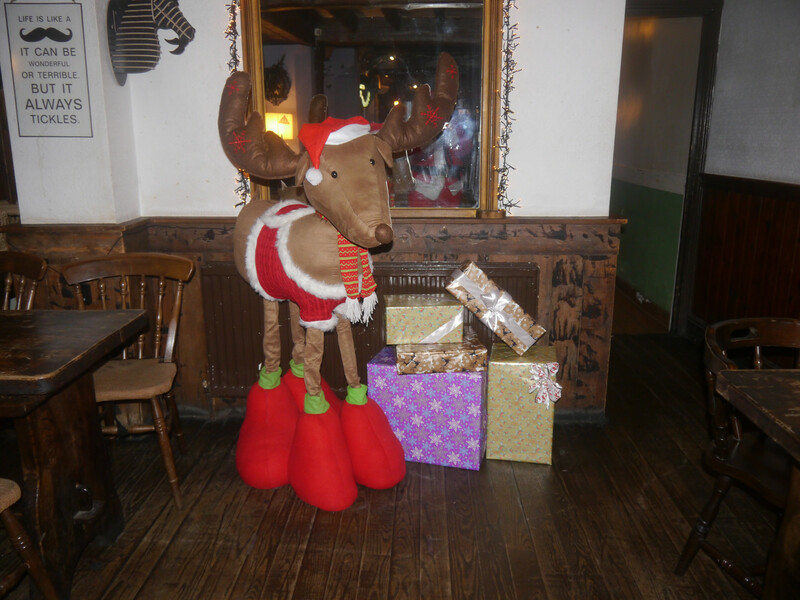 The reindeer returned! It’s truly a beautiful reindeer. An intense game of Cash n Guns started. 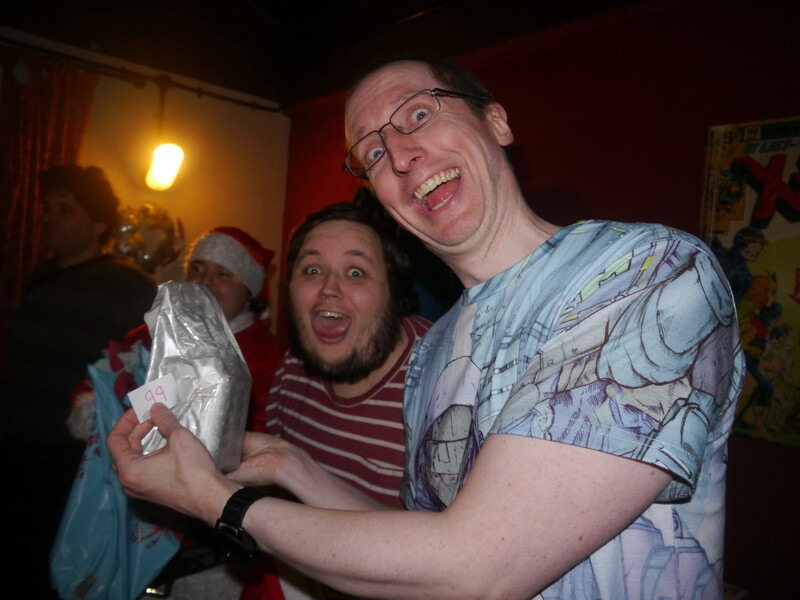 I have no idea what I was doing here… But Super Secret Santa pictures from here on! 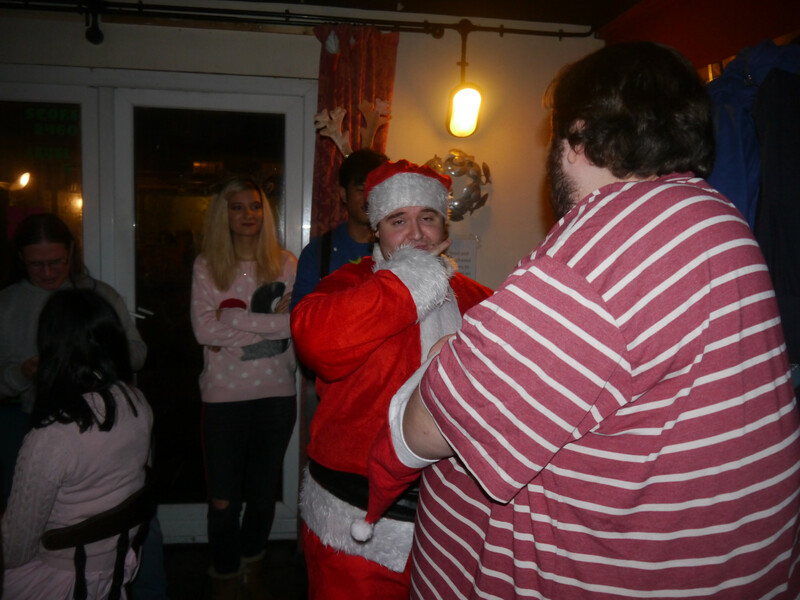 Unfortunately, this year we will not be running a New Years event. There’s too little time to prepare one, so for once, we’re actually going to have a little break! 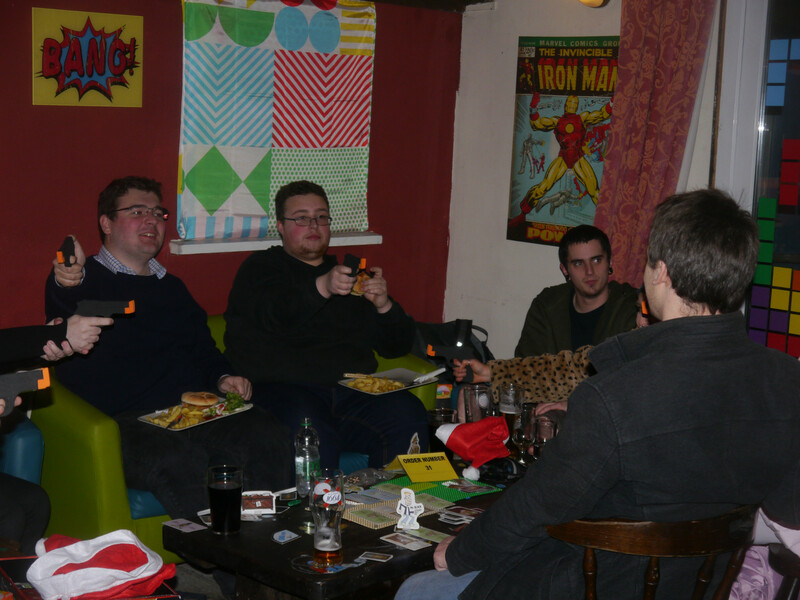 However, don’t worry, we’ll be back in January for another epic GeekOut Bristol Meet, so why don’t you come along and join us? You’ll certainly not want to miss out on some of the themes for next year. We’ll be announcing next year’s first event this week and we’ll also announce our full schedule for 2019. 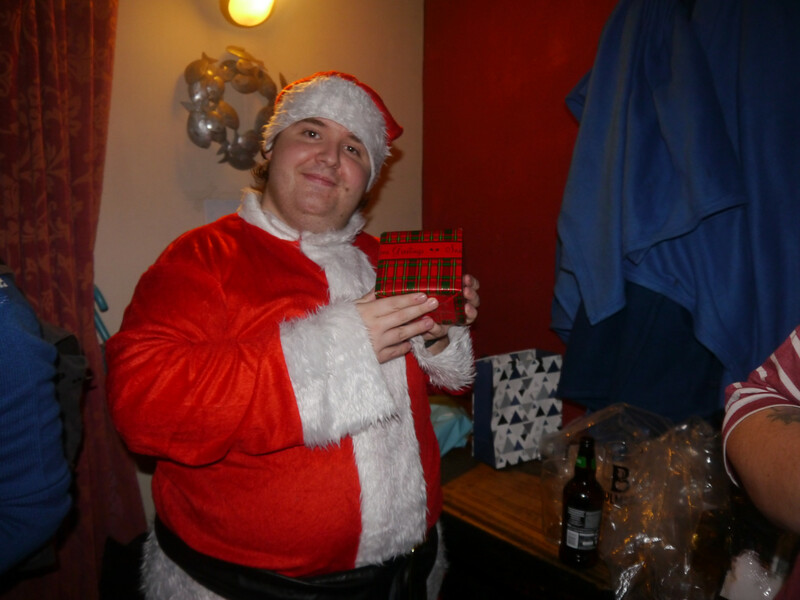 As ever, thanks for joining us and to all of my GeekOut Bristol Meet friends, I wish you all a Merry Christmas. See you in 2019, Bristol! This entry was posted on December 9, 2018 by Timlah. 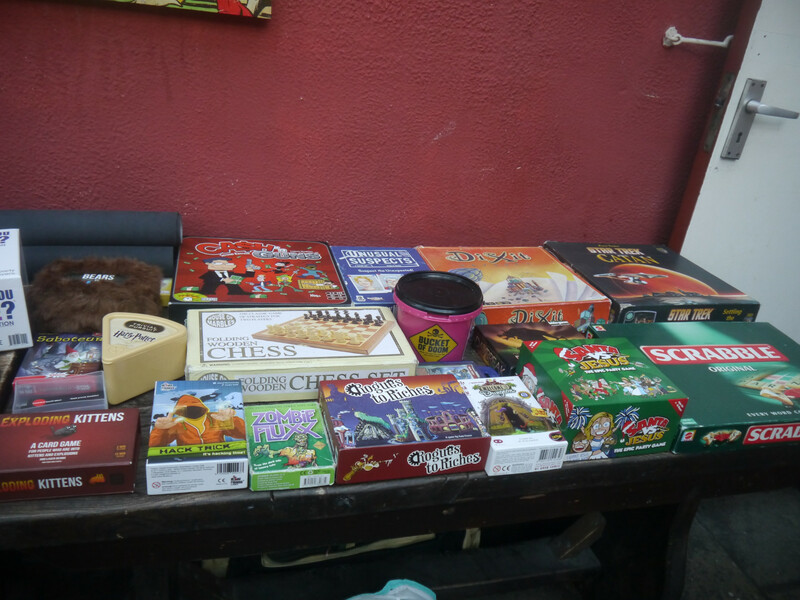 It was filed under Events, GeekOut discussion, GeekOut Meetups and was tagged with board games, Bristol, Christmas Themed Geek, GeekOut Bristol Meet, GeekOut Meetup, GeekOut South-West, Geeks, Santa Themed, South-West.